Andrew Shinnie says he feels lucky to be at Caley Thistle rather than turmoil-hit Rangers. 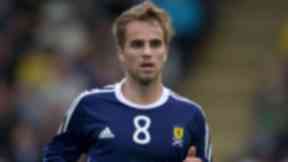 Inverness Caledonian Thistle star Andrew Shinnie believes he was lucky to get out of Rangers before major financial trouble crippled the club. The Rangers academy graduate was given a free transfer from Ibrox to join Caley Thistle last summer, and has since seen the Glasgow giants brought to their knees through administration and liquidation. Looking back on his decision to quit Rangers for the Highlands, the 22-year-old midfielder said he feels fortunate to be playing regularly in the SPL rather than mired in uncertainty at the Light Blues. 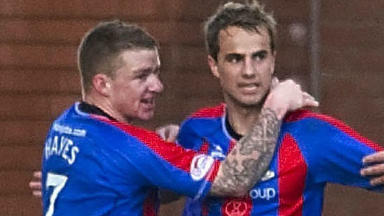 Speaking to the Scottish Sun, Shinnie said he has no idea what was going on behind the scenes while he was at Ibrox. He said: “From the players’ perspective, it is unbelievable what has happened and I feel so sorry for my friends who are still there and caught up in it all when it is not their fault. “Being shown the door when I was is maybe the bit of luck I’ve been missing in my career. “I always felt it was a good move for me to come to Inverness, but I did wonder if I might have got the chance at Rangers last season as their budget was cut. “The reality is I could have ended up sitting on the bench for Third Division matches this season, rather than playing in the top flight with Inverness.